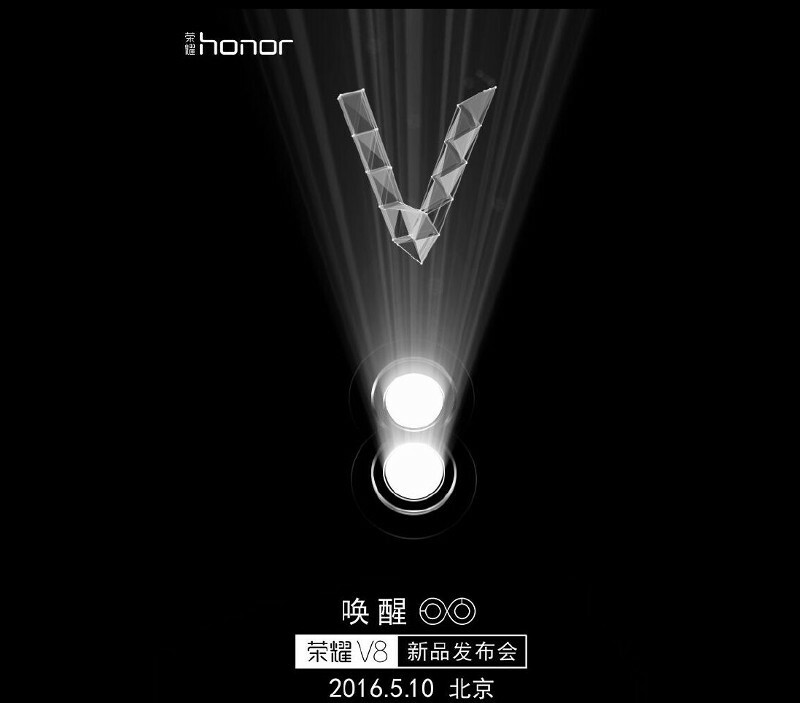 Huawei has sent out invites for the launch of its Honor V8 smartphone at an event in China, which will be the first flagship in the Honor series for the year. The teaser clearly shows dual camera set up for the rear camera. According to earlier rumors, the Honor V8 will be powered by Huawei own Kirin 950 SoC, 4GB RAM, fingerprint sensor, but the phone is not expected to feature Leica lenses that was first introduced in the flagship Huawei P9 and P9 Plus smartphones. The Huawei honor V8 smartphone is rumored to be priced around 2,000 yuan (US$ 309 / Rs. 20,500). We still don’t have any details about the display and battery capacity. We should know all the specifications at the launch next month.